Sage Hawk Home Buyers Need To Sell Your House Fast? We Buy Houses! Sell Your Indianapolis House Fast! Sell As-Is and On Your Schedule. Get A Fair Offer On Your House! Get Started Below. We buy houses in ANY CONDITION in Indiana. There are no commissions or added fees when we buy your property! Start below by telling us a bit of information about your house or call 317-743-7243 to speak with us now. We Buy Houses All Over Indianapolis! Yes, really! You’re probably here because you want to know how we buy houses and to make sure you’re dealing with a legitimate company. Learn How We Buy Houses! Having worked with 100+ homeowners to sell their property since 2015, this really qualifies us to help you get rid of unwanted property. Here are some of the houses we’ve bought. If you need to sell your Indianapolis house, we can help you be done with the headache! The condition does NOT matter! 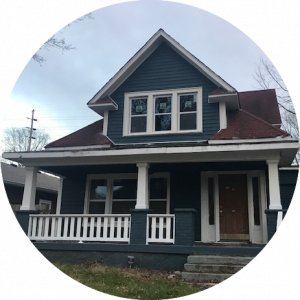 We buy cute & ugly Indianapolis houses! So, let us stop the frustration of your unwanted property and let us buy your Indiana house now, regardless of the condition. • Avoiding foreclosure? • Facing divorce? • Upside down in your mortgage? • Moving? • Undesirable Tenants? • Liens? • Needs too much rehab? • Inherited property? It doesn’t matter your reason for wanting to sell or the condition that the property is in… If you live in it, or you’re renting it out, whether it’s vacant, or not even habitable. We want to help YOU (we’ll be your Plan B if you need one)! We help house owners with unwanted property to sell at their convenience and fast… if “I need to sell my Indianapolis house fast!” sounds like a thought you’ve been having, then we can help! Basically, if you have a property and need to sell it… we’d like to make you a fair cash offer with no obligations. So would we! Selling a house is a big financial decision, which is why we put together this awesome guide. This will help you to determine whether listing on the market or selling to a Professional House Buying Company, like Sage Hawk Home Buyers , is best for you. Click here to see the comparison! Sage Hawk Home Buyers Will Buy Your House! 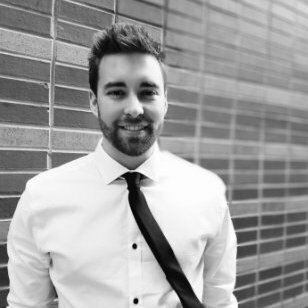 Let’s start by saying, we aren’t the solution for everyone… You might be able to get more money by listing on the market, but maybe not after you take into account that you WILL have to pay real estate commissions, holding costs (utilities, taxes, etc,), potentially make repairs, waste time showing your home, and waiting for an offer! We can buy your Indianapolis house. Contact us today! If you need to sell quickly, we will buy FAST, give you a FAIR offer, and together we will find a solution for your unwanted property. 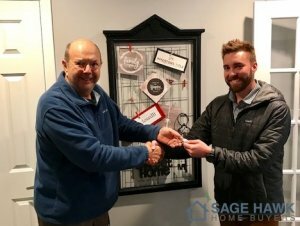 Sage Hawk Home Buyers is a Professional Home Buying Company and when you work with us, you sell without the need for a real estate agent. Plus, you won’t have to list the property, pay real estate commissions or deal with showings or making repairs. We work with a reputable title company to write up the paperwork and makes sure the transaction goes smooth… And because we buy with cash, we can close quickly, sometimes in as little as 3 days! You can walk out of the title company with a check in hand! We create win-win solutions and we’ve never bought a house that a homeowner didn’t want to sell. Do you have another question for us? Click here to see answers to common questions! Ready To Sell Your Indianapolis, Indiana House Now? Awesome. Fill out the form or call 317-743-7243 to get the process started! We help property owners just like you, in all kinds of situations. From divorce, foreclosure, death of a family member, burdensome rental property, and all kinds of other situations. We buy houses in Indiana… including Indianapolis and surrounding areas and pay a fair cash price, fast. Sometimes, those who own property simply have lives that are too busy to take the time to do all of things that typically need to be done to prepare a house to sell on the market… if that describes you, just let us know about the property you’d like to be done with it and sell your house fast for cash. Thank you so much for visiting our website. 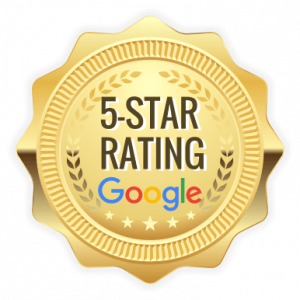 I sincerely hope that we can help you find what you’re looking for, whether that’s a fast and fair solution for your unwanted property or education in our blog. 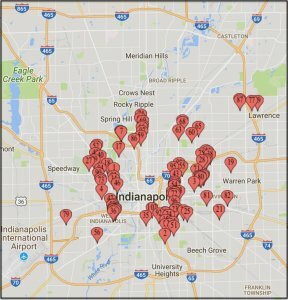 We have helped 100+ Indianapolis homeowners to sell their property since 2015. We would love to earn the opportunity to work with you. Please reach out to me directly with any questions. We know that selling a home can seem complicated, but it is our goal to make things simple. If you're ready to get started simply fill out the form below and we'll provide you with a FREE Home Evaluation! We are a real estate solutions and investment company that specializes in helping homeowners get rid of unwanted property fast. We are real estate investors who can buy your house fast with a fair all cash offer.